The value of pipe #347 is n/a points. 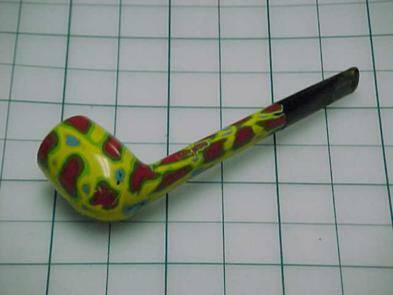 Eric Robb ran an auction on eBay for more than 3 dozen pipes, this one among them. It turned out that I already had a good exemplar and another to smoke so, uncommon as it is, this one must go the Pipes for Sale page. This pipe hadn't been on the page an hour before Rick Osborn asked for it!